I hope this isn’t going to become a running joke with me, our Spotlight Saturday posts being on every day but Saturdays. Here’s wishing you all had a wonderful weekend, and didn’t, like me, have to spend it stranded in a variety of different airports. 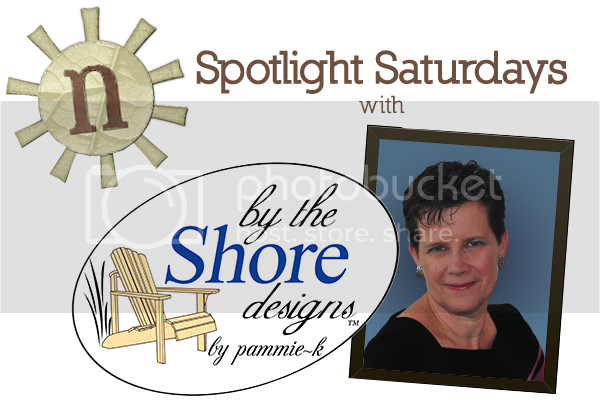 We can still have plenty of time to catch up with Pam from By The Shore Designs this week. She’s got such a great sense of style. 1. Besides scrapbooking, what’s your favorite hobby? 2. 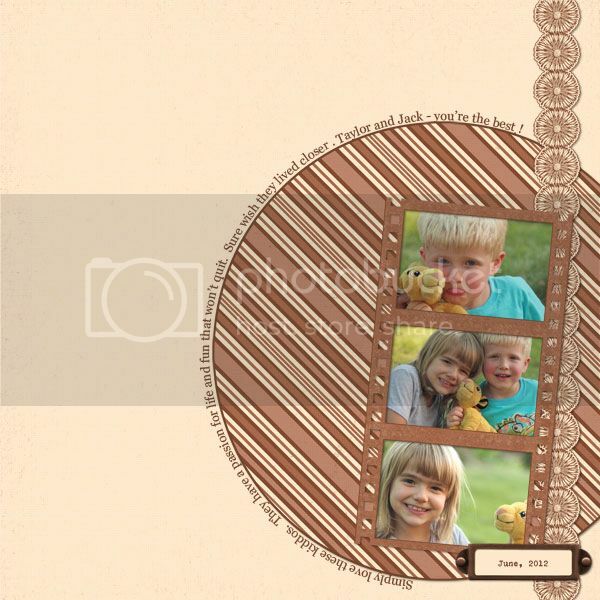 What would you say your scrapbooking style is? I tend to have a clean scrapbooking style. My layouts are more often than not simple and uncomplicated – allowing the photographs to tell the story whenever possible. With that being said, I am exploring different styles and moving outside of my comfort zone – a bit of grunge is starting to make its way onto my pages – and I think I like it! 3. Would you say you have a certain style as a designer? 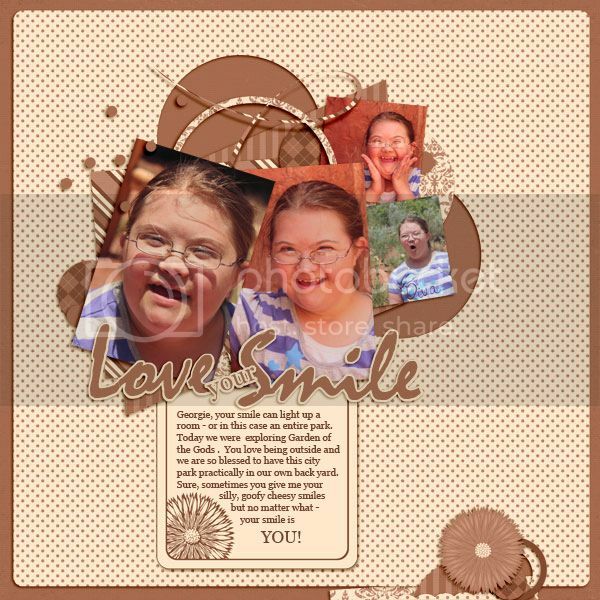 My design style tends to mirror my scrapbooking style – clean and simple! I plan to add a few art journaling kits to my store later this year. I am currently developing backgrounds and brushes with digital art journaling in mind. 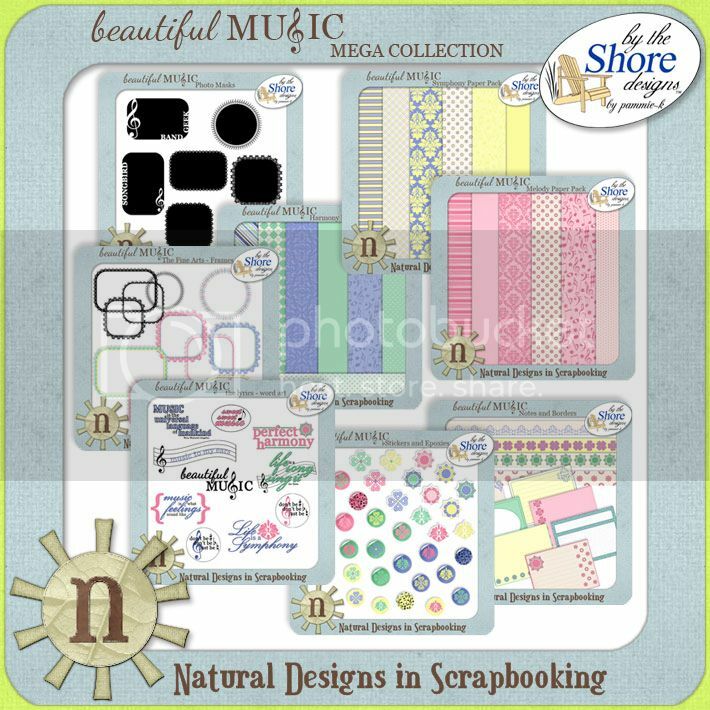 Check out the By The Shore Designs collection Beautiful Music. It is a perfect example of Pam’s clean and simple style. 4. What inspires you to create? The easy answer is…my girls. I often create digital kits with their activities in mind. But as I reflect on this question – the answer is…Color! When I see a color palette – whether online or in nature – my mind starts spinning as I brainstorm the possibilities. Talking about being inspired by color, have you seen the kit Basic Brown. That’s really doing something with color. 5. Have you read any good books or seen any good movies lately that you can recommend to us? I enjoy reading almost anything but found myself devouring both the Twilight Series and the Hunger Game Books. Movies – I don’t often have the chance to see a “real” movie – but my youngest daughter and I love all of the new Disney movies that are being released. 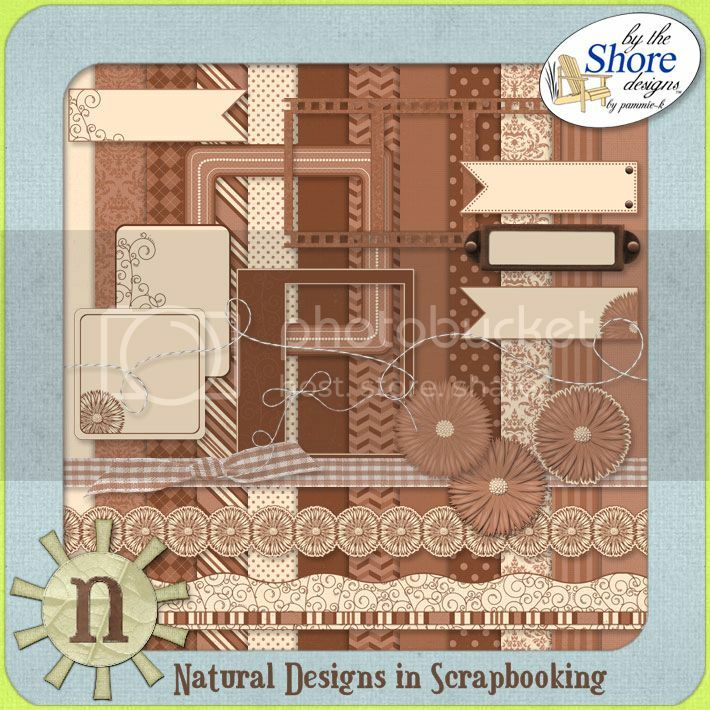 Have you seen these lovely layouts in the showcase of By The Shore Designs?